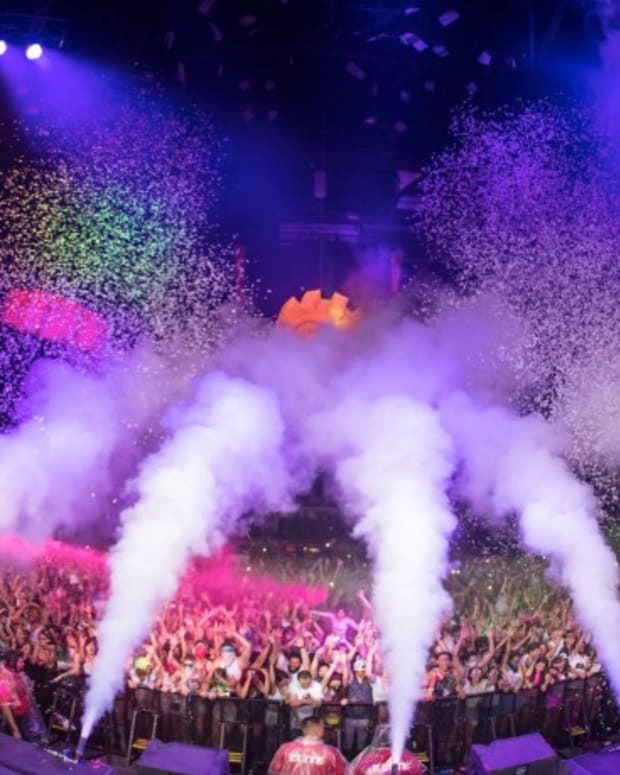 This year, San Diego had another outrageous 2 day party at the Valley View Casino Center. TrampsLikeUs had a phenomenal lineup to fit everyone&apos;s cup of tea. From grimy trap, to chest pounding hardstyle, this was a excellent variety for this years line up. A massive amount of attendees were satisfied with the line up, and as a result that affected the hype of the party. People were raving about this event for months and now the time was finally here. The day one lineup was a great way of welcoming in the three day weekend. Walking in we were greeted with the uplifting sounds of the young Cole Plante. He did a great job of entertaining the fans and helping them forget about the stress and anxiety that consumes our lives. Being a LA native, Cole really seemed to enjoy his set as it was a crowd from/around his hometown. Finishing out his set with his new single "If I Fail" with Myon & Shane 54, you couldn&apos;t help but get the chills seeing a young man so passionate about his work. Following up the inspirational Cole Plante was the dignifying Audrey Napoleon. Standing out from most with her unique song selection, she took us on a musical journey. It was a full of beautiful sound waves and amazing vibes all gathering together to enjoy some time off. Serving some delightful and refreshing music really did a number on us. However, it was time to switch it up for the next two artists. Loudpvck got down and dirty with it this time. Not just giving the crowd what was expected, they took it to another level. At one point, giving us hardstyle melody with a rap classic, only to drop in a nasty trap tune. It&apos;s like they extracted all the energy from the crowd and gave it back through the speakers. As fun as it would of been to go all out, we saved some stamina for the witty imagination of WhatSoNot. This was one set we were excited to see and we were not let down what so ever. 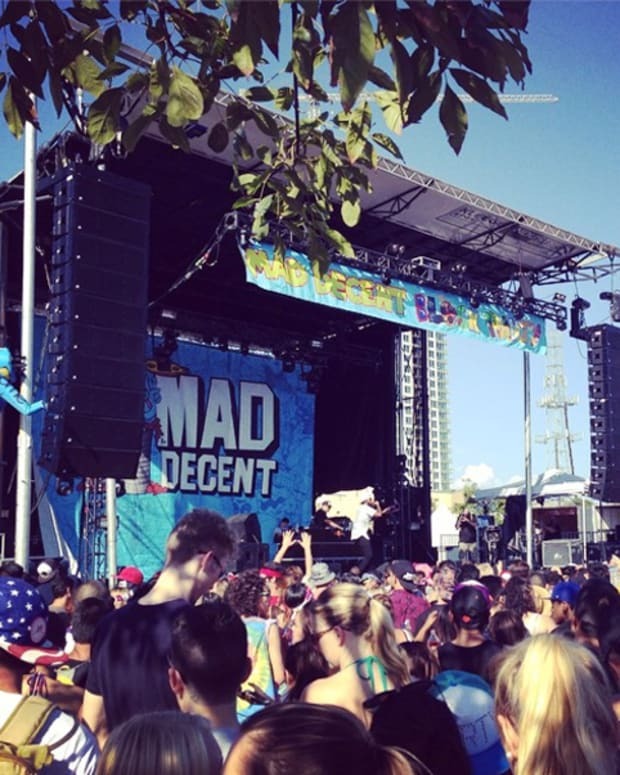 Covering many fields of music, not just electronic was a a good addition to day one. When "Tennis Courts" (Flume Remix) finished out the set, everyone stood in awe as the lasers finally made their first appearance. 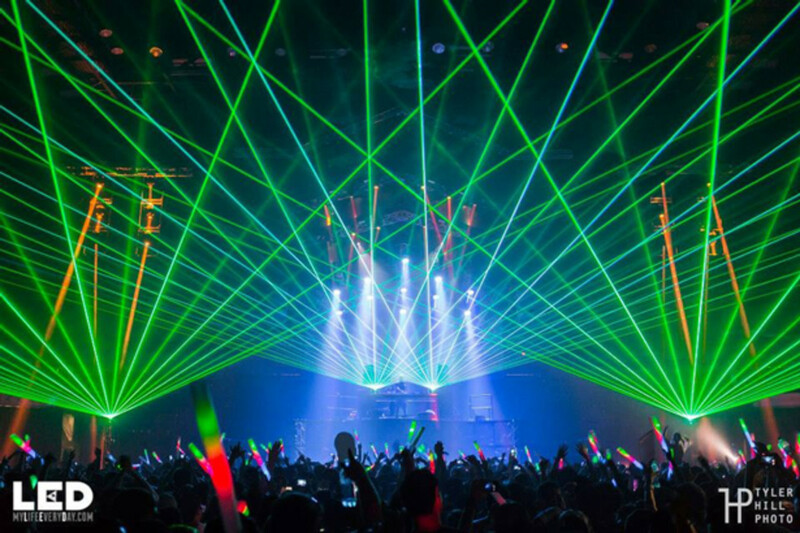 4 beautiful and beaming lasers captured our undivided attention. At that point, we knew the night had really begun. It was back to house time now, and we were ready for the living legend Moby. Bringing this artist back again to the Valley View Casino Center was a brilliant decision. Moby touched deep into the roots of the fans. He threw down some straight classics mixed with new anthems. It was great to hear a different style other then what people have been used to hearing. We were taken everywhere musically, but our journey wasn&apos;t over yet. Following that outstanding set was the young and determined Dannic. He music consisted of a lot of his production along with some from his pals Dyro and Hardwell. We got some good EDM festival throwbacks as well from his set. 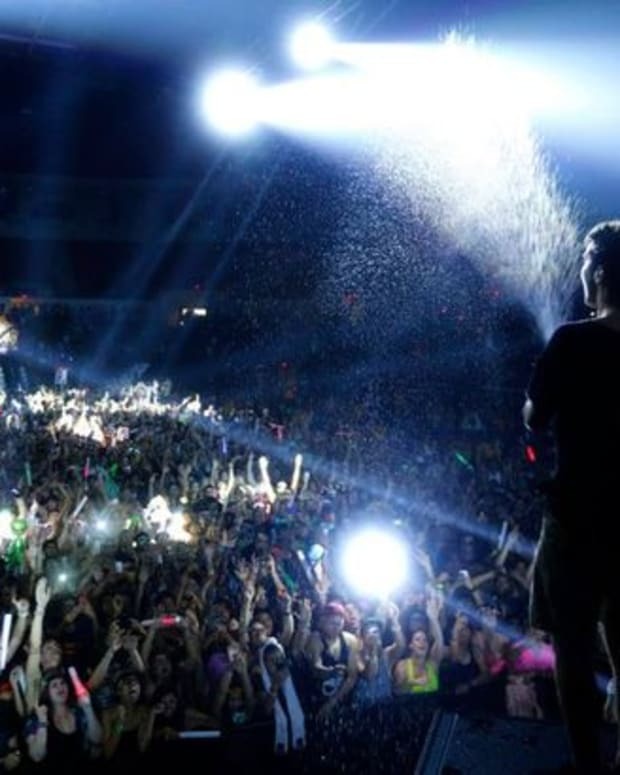 He kept the energy going and added some flavor before the anticipated Sander Van Doorn. His set was absolutely lovely. He stayed true to the Sander sound. and made sure to show us again the reasons why we can never get enough of him. 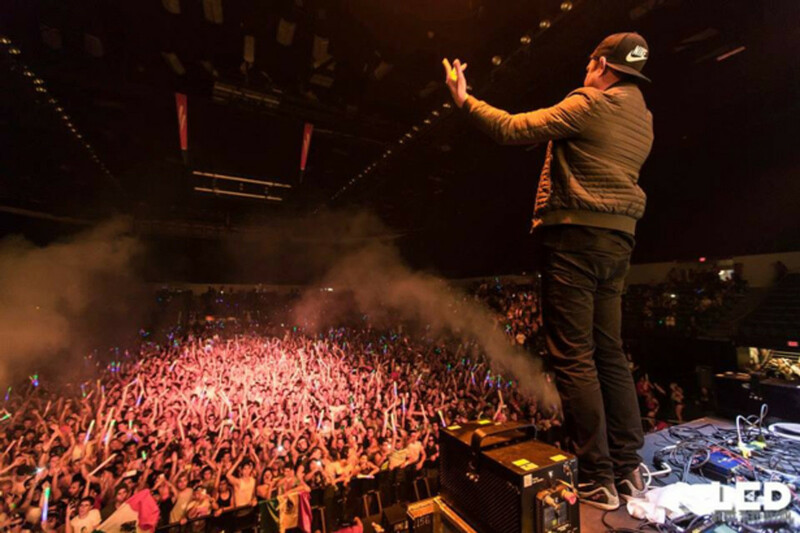 His latest track with DVBBS, and Martin Garrix "Gold Skies" was a track that easily got to everyone&apos;s heart. Matched perfectly with the four gold lasers and a massive structure of a stage, that made the moment for us. 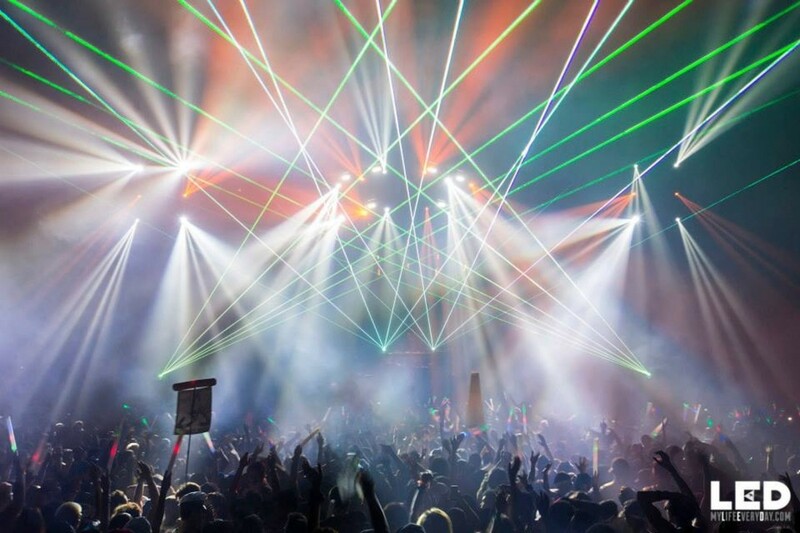 You couldn&apos;t help but tear, get the goosebumps, and appreciate the true beauty in dance music. To finish off our first day we were chilled with the beats of Victor Niglio. He was throwing it back to some old remixes of his, and some originals as well. Victor also incorporated some scratching in his set that was impressive. We danced the night and our hearts away til the very last minute, but day two looked even more promising. Day two was by far one the best days for LED. The line up couldn&apos;t of been more solid. New World Sound has been a growing fascination among the scene and they finally made their way down here to show us what they stand for. They kept the music flowing, and beat bouncing all throughout their set. It was a great opening for the festivities of day two. Immediately after that was the skin chilling Pegoboard Nerds. Being so in touch with their music is what impressed us. Not just that alone, but the excitement they convey in their sets is good to see now a days. The arena was filling upmore then the previous night, and after the set you noticed a instant difference between the capacity of the crowd. Borgeous was another excellent addition to TrampsLikeUs this year. The stage effects during his set was outrageous. From the lasers going mayhem, to the strobes blinding us before the drop of "Tsunami", we were on out tippy toes the whole hour. Even on the breakdowns of the tracks, it was a intriguing experience. Keeping the party going next was MAKJ, who is known for the giraffe style of a haircut he possess. This set was a bunch of bangers and house originals that we love oh so much. Gnarly beats entrapped us in the bass and kept things at a good level and ease. Kudos to MAKJ on a well played set. Now the time has come for the creative duo Blasterjaxx. They destroyed the arena like it was nothing. Responsible for the massive tune "Rocket" and many more, there was no questions asked who this duo was. They played some of their all time best hits, along with tracks they currently support, which gave everyone a little of everything. W&W really got to us, and made sure to hit us right in the feels. Having produced some of the never forgotten classics, these two were one of the highest demanded names for the fans. This set was euphoric and heavenly all in one. They opened up with a intense string melody of "Jumper", only to lead into bass heavy edit of this song. This set was perfectly placed to finish off the house sounds for the night, and get into final set for the weekend which something a little bit harder. Headhunterz was our favorite set from this weekend. Hardstyle has not been brought down enough to San Diego, so LED took the initiative and changed that for the fans. There is a lot of reasons why this was our favorite. One being the constant bass thumping unlike any other genre played this weekend. The mash-ups played were deep and well thought out, and it caught people off guard which should be a goal for every DJ. Another thing that we really loved about his set was what he brought the love to the crowd. Headhunterz was a preacher, connecting everyone through the music, and examined the true unity of it. Thank you Headhunterz for closing out a amazing weekend. The stage and production was the best LED has done to date. They constantly try to make their shows bigger and better, and that&apos;s exactly what they did this time. The stage this year stood about 5 story&apos;s roughly which gave everyone&apos;s eyes a lot to take in. 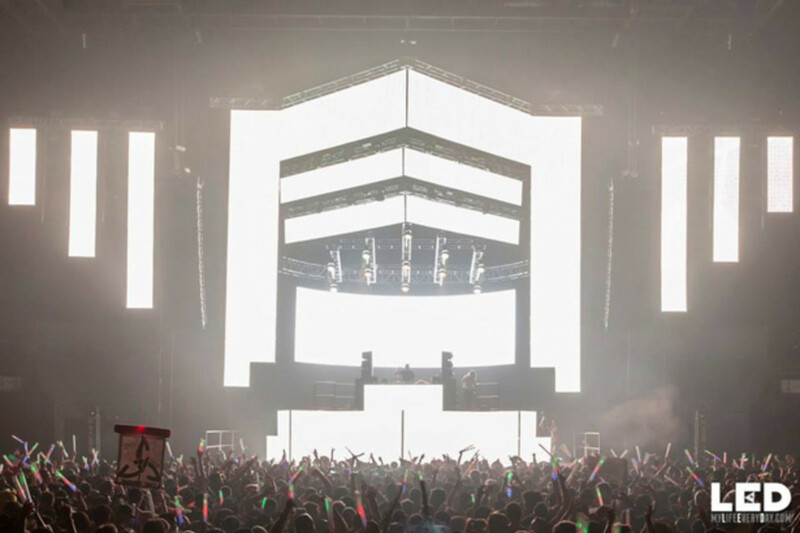 This stage somewhat resembled a stack of triangles (LED logo) stacked on top of on another with the tips aiming right over the heads in the crowd. The DJ was mounted about 3 story&apos;s above everyone. which is higher then shows held previously. Strobes, and the Co2 cannons were out in full force as expected, but the lasers were what made the show. A assorted variety of 4 lasers generated colors that made the dome filled energy, love, and happiness. Overall, LED really out did themselves this time and that is never a bad thing. LED does a great job of keeping the culture alive in San Diego, and without them what would we do to get our EDM fix? Not just hosting events in San Diego anymore, LED has reached out far and wide. From the dry deserts of Palm Springs, to the sunny skies of San Fancisco, they have made it a goal to get their name know all throughout California. It has been a huge success roller coaster for their team, but the work is proving to pay off. TrampsLikeUs is just one of the many events they host, and if you liked what you read then you need to check out another LED show coming near you.